Hey Chris, it's Kendra from KFC in Stewiacke. Always happy to listen to your cd, especially Life Goes On. Every time I listen to that song, it brings me back to every bad thing that has happened, and I just remember, life keeps going on. Life doesn't stop to see if you are okay, it just keeps on a rolling. Can't wait to listen to your next cd when it comes. I'm always looking forward to new things. So blessed and. Honoured to meet you! Your music really touches my soul deeply, I can relate to the words on a very personal level, not,any can bring tears to my eyes several times in one CD, but, you have... And in a good way, I sit and wonder... Why have I not listened to this music more before this? i really enjoyed our chat and I value your taking time out to listen to my writing and giving me a little inout on it too, it means a lot to me, just starting out like I am! Hope to hear more of you! I enjoyed our discussion last night, and I find I agree with your feeling, that those with power abuse it all too often. Life is not fair, and more people should stand up for what they believe. I know what you went through was hard, having had similar experiences, but life goes on. Its the little things that count. I believe in fate, and that those who deserve it, will win in the end, over those who don't. The times I spent talking to you was an experience to remember, and I'm looking forward to our next one in the future. H iChris:thanks for the great motorcycle rides with you Reg and Doug. Yes I agree the song Lest we Forget" is very powerful I expect to be hearing this song for many years. I also listened to the CD and what an great emotional ride: some hurtin songs, to toe tapping, to inspirational ending with a song of hope. Keep up the good work, drive safe and lets go cruisin again. Just awesome! I encourage others to share this amazing song with with your girlfriends. Kick up your heals and enjoy! Love your webpage and your songs are amazing. I'm not just saying that I love them all and your voice. My very favourite so far is Come To Me. I can't stop playing it! Keep up the good playing and singing and the very best of everything to you in the future. Your friend and fan, Carol. Thank you for the CD!! I absolutely like it and Anymore really spoke to me. Thank you for that. Your words are real and your songs are from the heart and soul, that's the stuff that last forever. Your tough times will serve as inspiration for someone else facing their tough times. From listening to the CD and reading the notes the quote "Tough time don't last, but tough people do" reminds me of you. Your tough time didn't break you, it only made you tougher. Thank you for stopping me and sharing your music with me, I appreciate it so much. I can't wait to share your music with my mom, she loves country. Just love your music you are totally awesome !!!!!!!!!!!!!!!! 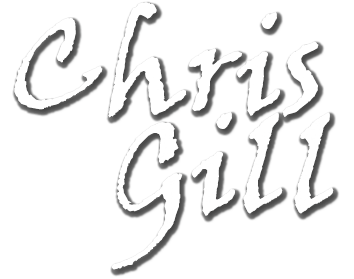 Hi Chris, .......found your website after responding to your comment on Yahoo, glad I was able to find your Site last well worth the visit, keep up the good work, very stylish. Congrats on the new Cd....When are we country music lovers gonna hear you on the radio??!!! Hello Chris. Your music is wonderful! I love it and waiting to hear more! Keep up the good work. Great tunes. Very well written and recorded. As good as any country material I've heard in Canada recently.